We're pleased to announce a new collaboration with Destinations. In January and February 2019 we will proudly feature as their chosen charity at their two weekend events in Manchester and London. Packed with hundreds of leading and independent expert travel agencies, over 75 tourist boards from across the globe, cultural entertainment, world flavours, travel celebrities and more, Destinations: The Holiday & Travel Show in association with The Times & The Sunday Times is the UK’s largest and longest-running travel event. If you are looking to challenge yourself, you’ve come to the right place. We have an expert team of builders and volunteer coordinators who will help you make it all possible – from fundraising to laying bricks. From 17 -20th Jan at Manchester EventCity and 31 Jan – 3 Feb at London Olympia, indulge your passion for travel and experience world cultures come to life through our many attractions live at the show. 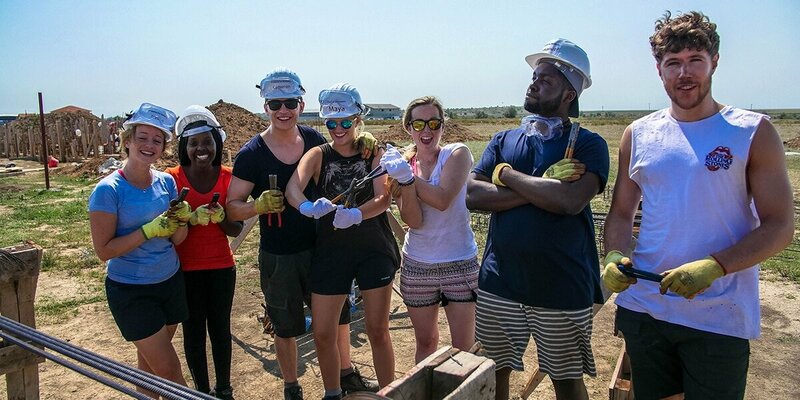 We’ll be hosting a fun, interactive stall that will include a fully immersive VR experience of what it’s like to volunteer abroad with Habitat, and a raffle where the winner will win a once in a life-time opportunity to join one of our trips for free. Book your complimentary ticket now! To be in with a chance of winning a life-changing volunteering experience for two, come find us at the show.You're also invited to book free tickets to the show - courtesy of us - by entering the code H4H, on the ticket payment page on their website.